This is the time of the year when we invite members and friends to review and plan their financial support of the mission and ministry of the congregation. The theme for this year’s stewardship emphasis is “Living with a Grateful Heart”. 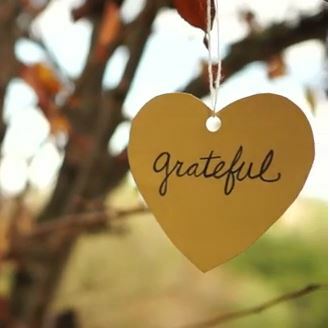 “What are you grateful for?” The Stewardship Team has put this question before a number of people who are connected with St. Francis. In response, we have received stories of grateful hearts which we will share in worship and publish in a little booklet. And how about you? What are you grateful for? At night as you look back on your day, or at the moment of a milestone, as you look at past chapters in your life, what are you grateful for? At times of such reflection, most of us tend to make two mental piles. One pile for all the things that were wonderful and lovely and rewarding and pleasant, and another pile for all the things that were challenging, painful, difficult and unpleasant. It is easy to give thanks for the first group of events. As for the second group of events, we tend to either complain about them, or else brush them under the carpet. Our faith teaches us a different path. Namely, to give thanks for all things, at all times and in all circumstances. Our faith teaches us to give thanks not only for that which is rewarding and pleasant, but also for that which is disappointing and challenging. After all, the difficult times often draw us closer to God. Thanksgiving for all things might, at first, take some practice. It is a practice that I recommend to you in this season of stewardship emphasis, and even more as a daily Christian practice. Try to reflect each day with gratitude, and include all things in your gratitude. Try to reflect on past chapters of your life with gratitude, and include all events in your gratitude. You may be surprised how often you will see things in a new light and then come away with a grateful heart.